The metal base of the Bradenton Adjustable Floor Lamp is finished in a plated, brushed nickel accented with a black foot. The three round hardback drum shades are ivory linen fabric. The three metal arms pivot left and right, and shades pivot up and down. Designed by Carolyn Kinder International. Available to trade professionals at Uttermost.com. 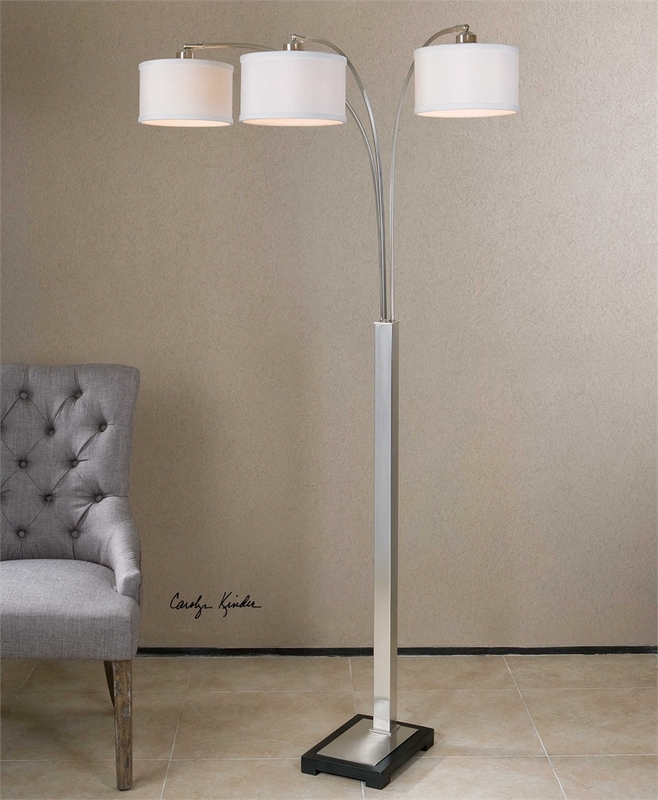 For retail purchase Google keywords “Carolyn Kinder Bradenton Adjustable Floor Lamp”.